These wraps are uh-mazing…powerful flavors with simple ingredients! Let them all slow cook the day away and you\'ve got a simple, delicious meal for your family dinner! In a small mixing bowl, whisk together the hoisin sauce, honey, rice vinegar, minced garlic, and ground ginger. Place the chicken breasts in the base of the slow cooker and pour the Hoisin sauce over the top. Set on low and cook for 8 hours. With 30 minutes left in the cooking cycle, make a slurry with the cornstarch and equal amount of water, and then stir it into the sauce. Cook for 30 more minutes to allow sauce to thicken. Shred the chicken with 2 forks and mix into the thickened sauce. Spoon the shredded chicken into large lettuce leaves. Add sliced green onions, and then wrap up the lettuce leaves. 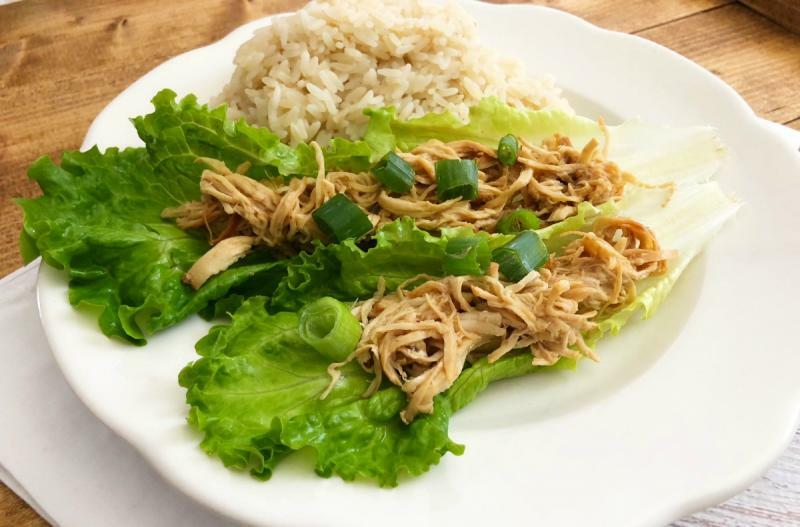 Serve Slow Cooker Hoisin Chicken Wraps with rice. Put baggie in the freezer and freeze up to 6 months in fridge freezer or 12 months in a deep freezer. Thaw in the fridge overnight, or a warm bowl of water for about 20 minutes, before transferring to the slow cooker and cooking on low for 8 hours. Thicken with cornstarch at the end of the cooking cycle as directed. Assemble lettuce wraps as directed. Recipe is gluten-free if you use gluten-free hoisin sauce. Thaw and slow cook on low for 8 hours. With 30 minutes remaining in cooking cycle, stir in the cornstarch to thicken sauce. 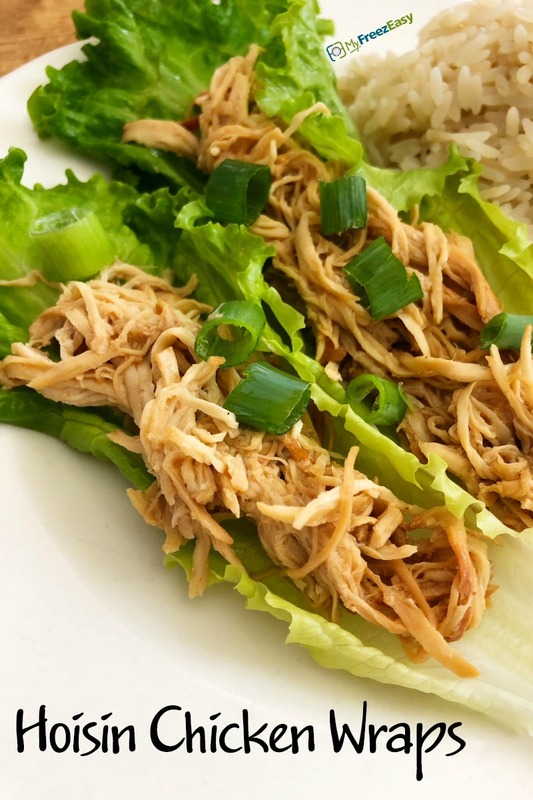 Spoon shredded chicken and sauce into lettuce leaves and add sliced green onion garnish.